This is the second part of a three-part post about the life of my cousin Lotte, who was born in Germany, left in 1938, and came to the United States in 1939. You can read Part One here. Although Lotte was only eleven years old on January 30, 1933, when Adolf Hitler became the Chancellor of Germany, she has vivid memories of that day and the events leading up to it. 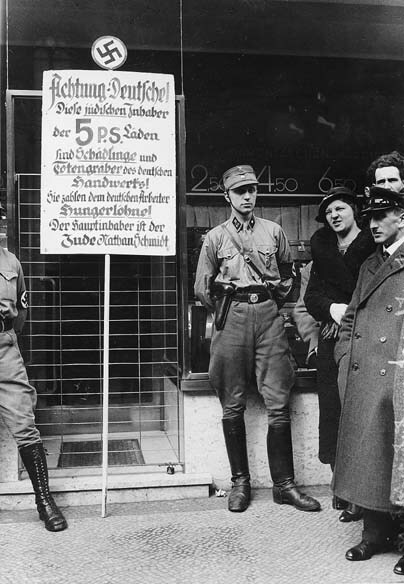 For years, the Nazis had been a minority party. Many people thought they could not possibly rise to power. But in 1933, Germany was in the grip of the world-wide depression precipitated by the crash of the American stock market and an enormous scandal involving Ivar Kreuger, the Swedish Match King, whose pyramid scam had caused the collapse of the European markets. Unemployment was widespread and severe. In addition, Germany’s pride, so badly hurt by the harsh and unrealistic provisions of the Treaty of Versailles, was crying for revenge. Thus the stage had been set for the dramatic rise of the Nazis whose promise of hope, and whose message of antisemitism, fell on accepting ears. In November of 1932 they succeeded in winning an election and joined up with the “German National Party”, a very rightist holdout of frustrated generals and army protagonists, frustrated because the German army was severely limited by the peace treaty. …But then, on that ominous day in January, President Paul von Hindenburg, a tottering and senile ex- general, appointed Adolf Hitler to be the chancellor. Like many Jewish residents of Germany, Lotte’s father at first was not overly concerned about Hitler and his party. Her mother was more worried. My father, who was a decorated veteran of World War One, owner of the Iron Cross medal, and a respected physician in the community, kept on stating that nothing could really happen to us. That the whole thing would blow over. My mother, always a realist, an activist and somewhat of a pessimist, painted a different picture. She was a convinced Social Democrat with a leftist leaning, whereas my father supported the more centrist “Zentrum” party. There had been many heated arguments about politics in our house, and both Doris and I were quite up-to-date on what had been going on. It did not take long for Lotte’s mother to be proven right about her concerns about the Nazis. By February, 1933, the father of one of Lotte’s close friends was sent to Dachau, and when he returned, he and his family left Germany. While the father was still in Dachau, his daughter and Lotte were assaulted on the street by three boys, leaving Lotte with a bloody lip. A few days into February  I found that a large picture of Adolf Hitler was hanging in my classroom. Without thinking I exclaimed more or less to myself: “Does that guy have to stare right into my face?” The boy sitting in front of me, known to be a “Nazi”, turned around and said “what did you say?” I don’t remember what I answered, but I was scared to death about the possibility that some harm could come to my father. Fortunately, the boy did not report the incidence, and nothing happened. But from there on I knew that I had to be extremely careful with what I said or did. There was always a certain pressure, a certain fear looming over my head, not a very healthy state for a child and then a teenager. And that fear increased as time went on. A yellow sign with a Magen David (Jewish star) bearing the inscription “Jewish Enterprise” was plastered over my father’s medical shingle. An S.A. man (Nazi stormtrooper) was planted at the entrance to the building with instructions to prevent anyone other than residents from entering. But one well-meaning elderly woman told him to be ashamed of himself, that my father, who handled many deliveries, had actually brought him into this world, and the young man shamefacedly trotted away. My French teacher, who had been known to have been a Social Democrat and who had quite opportunistically converted to Naziism, actually had the gall to try to console me by stating that none of the shenanigans were really meant to be antisemitic, but that the day would come when it would be discovered that the blood in Jewish veins actually was different from that of “Aryans”, the true Germans. At the end of each school year the three best scholars received prizes donated by local merchants. Being Jewish, I never received such a prize. My home room teacher used excuses, or I was given an undeserved “C” in a minor subject. Twice I just received an “honorable mention”. Later on they no longer bothered to cover up, and I knew why. 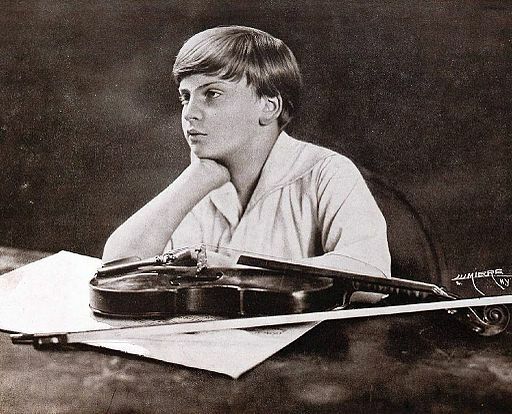 I attend a concert by the fourteen year old Yehudi Menuhin who, wearing shorts, looks like a little boy but plays beautifully. Of course being Jewish I am not supposed to be in the concert hall where I meet the grandmother of one of my non-Jewish friends. The lady looks the other way, completely ignoring me, although I have spent many hours at her house in friendlier times. Meanwhile, Lotte became more interested in learning about her Jewish identity. As described last time, her father had left the Jewish community, and Lotte’s upbringing had been completely secular. Her limited exposure to Judaism had occurred when she had visited her maternal grandparents in Neunkirchen. 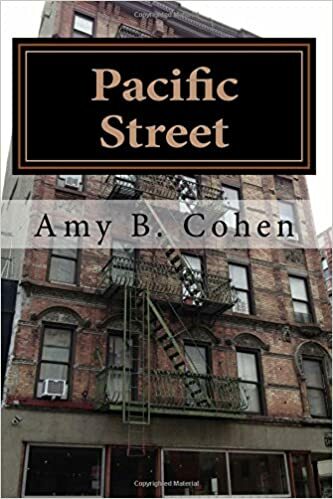 But once Hitler came to power, Lotte’s father Joseph rejoined the Jewish community, and Lotte felt a desire to learn more about what it meant to be Jewish. The teacher had one look at me and promptly asked what I was doing there, but condescended to let me stay. There was a lot of noise in the classroom, nobody was paying any attention, and the teacher could only try to keep some order by slapping the faces of some and shouting louder than the others. After attending twice I was completely turned off and never went there again. Nobody ever asked me to come back. 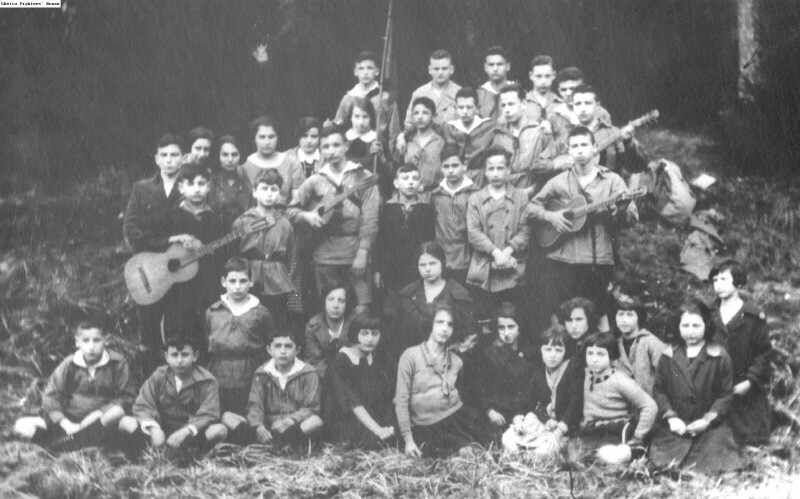 Lotte then enrolled in a Zionist youth group, Die Werkleute, where she found a group of like-minded Jewish youth and learned a lot more about Judaism. Although her parents did not support the Zionist movement, for Lotte it became a political, religious, and social outlet. As far as I was concerned, the concept of Zionism fell on fertile ears. I remembered the KKL box on my grandparents’ chest, and I needed something positive to look forward to, seeing how my future in Germany was being destroyed systematically. A few of my friends actually went to Israel by enrolling in the Youth Aliyah program which was in full force by then and was instrumental in to rescuing Jewish children. Others were planning to spend some time in preparation for their move to the Kibbutz by gaining work experience in agriculture, gardening and some of the trades. I was not quite ready to do just that, but I certainly expected to emigrate to Israel somehow at some time in the future. Fate had it that things worked out differently for me. But more about that later. I learned a lot about Judaism at that time. Some of the members were very observant, and everybody respected that, but on the whole religion was downplayed. It was discussed in a more or less theoretical context. Jewish history, especially the history of Zionism, and Jewish peoplehood were the thrust of our education. At the same time the value of our background of German culture was stressed. We took our mission very seriously. In 1936, Lotte’s father was excluded from the state-run insurance system which had provided him with many of his patients. He finally realized that it might be time to leave Germany before it was too late. First, the family arranged for Lotte’s older sister Doris to emigrate; she left for the United States in 1937. Lotte’s parents then began to make plans for their own emigration. .
With my mother’s help they managed to move to a lovely small apartment at the foot of a hill in the fairytale-like city of Luxembourg. The view toward the skyline silhouette, way above, was breathtaking. The ruins of an ancient watchtower and of fortifications lay on the way up to the city. Grand-duchess Charlotte ruled the country which had an army of about 100 men. At times you could see two or three of the soldiers marching behind each other, rifles on their shoulders. Had it not been for a shortage of funds, it would have been an idyllic place to live. Once the decision was made, all the following steps fell into place. I had to leave school and take the courses needed to prepare me for a different life. My father closed his office. We obtained the necessary passports featuring the addition of the name “Sara” for my mother and me. “Joseph”, my father’s name, was sufficiently Jewish to avoid any changes. The passports were not hard to get since one of the officials at the office was known to oblige when a DM 10.00 note was slipped into each application. Ours was the last family in Mannheim to be allowed to pack most of its belongings. Lotte remembers what this meant for her education. Unfortunately my schooling was rudely interrupted when my parents began to make preparations for emigration. Much to my chagrin I had to quit school in the middle of the equivalent of my junior year. Instead, I took courses in English and French shorthand, typing and commercial correspondence at a private school. I also learned the rudiments of using a sewing machine, courtesy of a school run by nuns. I must add that for a couple of years I had also studied English with a very proper Oxford-trained teacher at the private Berlitz School. On a more positive note, Lotte’s parents saw to it that she would have a good violin before they left Germany. In preparation for eventual emigration my father and I travel to Stuttgart to buy a new violin for me. Or rather, it is a beautiful old Italian instrument, bearing a label stating that it was made by Matteo Albani in 1698. It has a gorgeous flamed wood back, gracefully molded. The sound is magnificent. My teacher assists in the purchase which also includes a light brown case lined with light blue plush. A piece of matching blue silk serves as a wrapper for the instrument. It will soon become a part of me. I am ecstatic. I would imagine that that feeling of ecstasy was tempered by some sadness about leaving behind her childhood home, the city of Mannheim where she’d grown up, and her birth country. But Lotte’s memoirs do not convey sadness, just relief. On the day scheduled for the packing, an inspector appeared whose job it was to supervise what we were doing. He was quite a jovial man. At lunchtime he attached a yellow ribbon across the doorway and announced that he was now going to be gone for about one hour. My mother took the hint and promptly hid a box with jewelry and cash in one of the suitcases destined for Luxembourg. After exactly one hour the good man returned. Luckily he did not ask any questions and did not inspect anything. For a few more days we stayed at the home of some friends. On May 9, 1938 my parents and I boarded a train heading for Luxembourg. Again luck was with us. Our compartment was shared with a gentleman who turned out to be the Luxembourg consul posted in Stuttgart. The German border control officers of whom we had been afraid and who might have made a lot of trouble for us, they tipped their hats in deference and did not search the compartment very thoroughly. The Luxembourg officials were considered harmless. Not long after settling in Luxembourg, Lotte’s mother traveled to New York to attend her daughter Doris’ wedding. When she returned better informed about what was going on in Europe, she persuaded her husband that they should leave Luxembourg and immigrate to the United States. How fortunate it was that Doris had moved to the United States a year earlier and that her mother had come to the US to attend her wedding. If the Wiener family had not left Luxembourg, it is very likely that Lotte would not be here today to share this remarkable story. Next, the family’s departure from Europe, journey to America, and Lotte’s life in the new country. This entry was posted in Germany, Holocaust, Seligman/Seligmann and tagged Adolf Hitler, Antisemitism, Luxembourg, Nazi Germany, Nazism, Saarland, Seligmann, Treaty of Versailles by Amy. Bookmark the permalink. Reblogged this on Janet’s thread. What a remarkable story. I can’t wait for the next installment! Thank you—I agree. Lotte is remarkable! This is an amazing story! Have you tagged under Family History? Beautifully presented, Amy! Thank you, Maryann. You know, I always use Genealogy as the tag, not Family History. Should I be doing both? Yes, I think so. It is a great group under Family History! This is fascinating. I’m looking forward to part 3. Thanks, Wendy. Part III is in the works! Thanks. I think so also. She’s a remarkable woman.